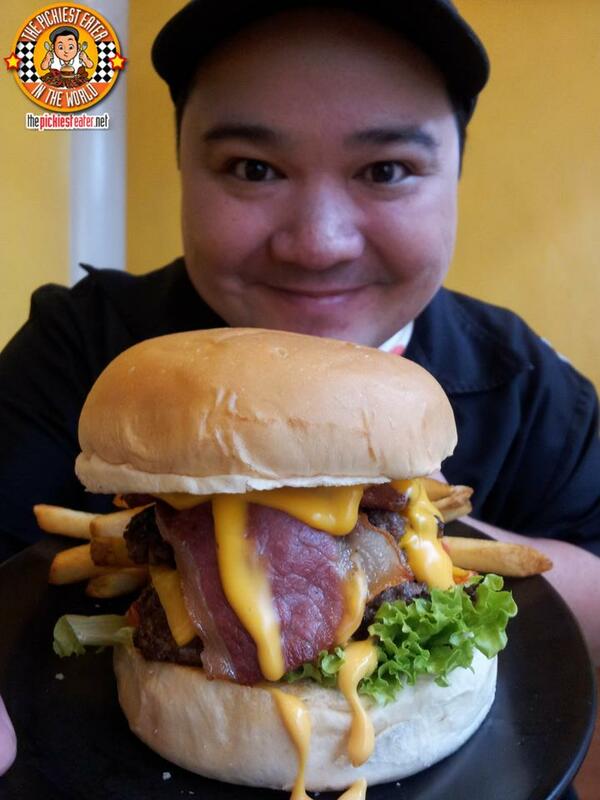 THE PICKIEST EATER IN THE WORLD: ZARKS BURGERS JAWBREAKER DAY 8 TICKET WINNERS! Man, you guys are insane!! The reception for this giveaway has been unreal. I don't blame you guys though.. The Jawbreaker is pretty mind blowing, and these tickets, which are already sold out by the way, are the only way for you to get into Jawbreaker day 8! Please wipe the drool off your keyboard before proceeding. Thanks. Your Ticket gives you one Jawbreaker Burger, and comes with fries and an Iced Tea. If your name is announced, you may go to Zark's Burgers at the time that you had chosen in the blog comments (Actually, I would suggest going perhaps 30 minutes earlier just to be sure). Due to time constraints, I'm sorry, you can't change the time anymore. At any rate, just go to the reception counter and give them your name and a valid I.D.! Please take note that I'll be giving out Five tickets to One winner, and Two tickets to Five winners.. 15 tickets in all (my math teacher would be so proud)!! Your names and the time you choose has been submitted to Zark's Burgers and you may claim your tickets at their reception area. Aww, congrats to the winners! I'll be looking forward to the next giveaway! Ohhh :-( I don't know why I don't win in raffle draw.